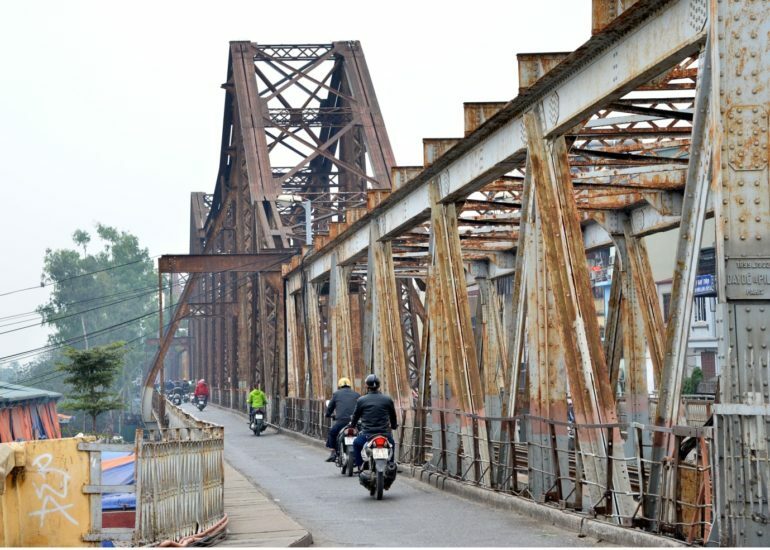 Not long after leaving Hanoi city center, the vehicles will go to the dike along the Red River. 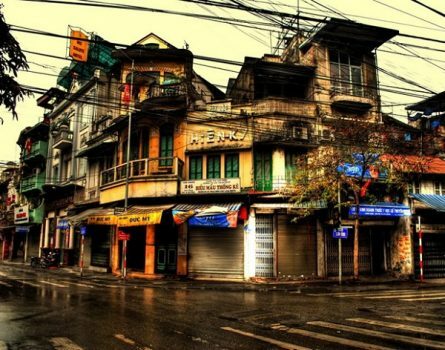 This dike protects Hanoi and its surrounding areas from severe annual floods. 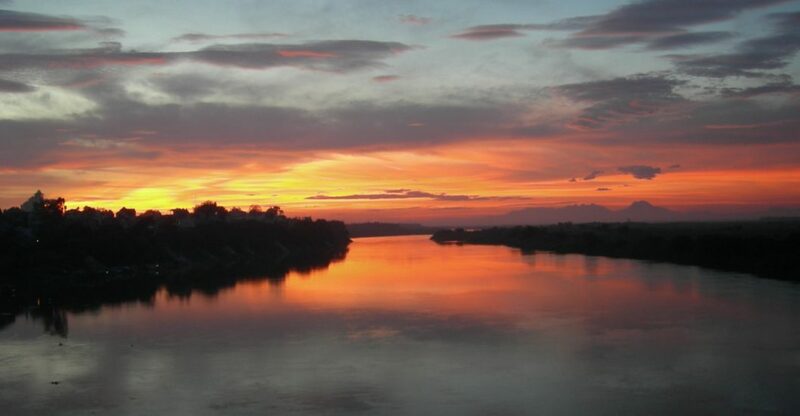 Originating in southwest China where it is known as the Yuan River, the Red River enters northern Vietnam in Lao Cai Province. Before separating into two distributaries which empty into the Gulf of Tonkin, this river passes Hanoi. Forming the backbone of the Red River Delta, this river fertilizes its rice paddies which feed the millions of residents on the Red Delta. 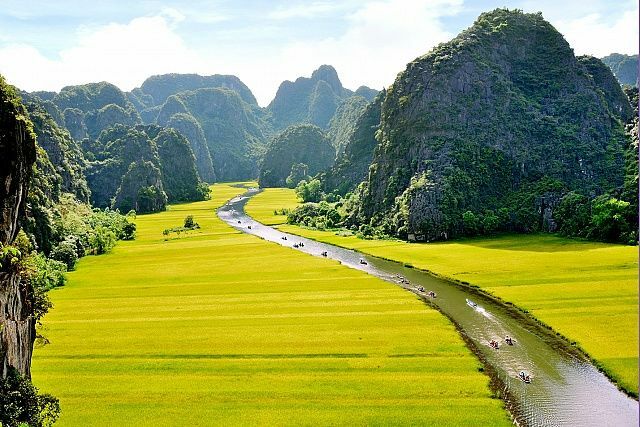 Vietnam, which is one of the most fertile agricultural countries in the world, is the world’s second largest rice exporter. Indeed, seen as a “gift from the gods”, rice is a staple of the national diet. 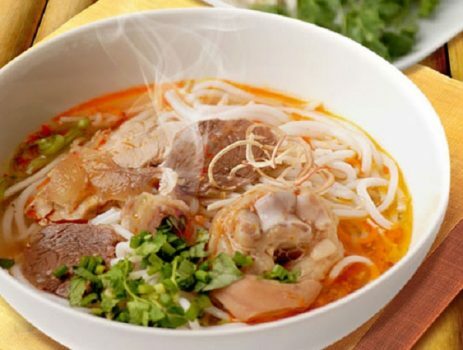 The famous Pho, Spring Rolls, Bun Cha, and many more are some of these Vietnamese dishes that have many dishes derived directly from rice. Even though some machinery has begun to be used in recent years, most work related to rice cultivation is still manually done. If you see a splendid rice paddy scene, don’t hesitate to suggest your fellow passengers stopping to make some beautiful photos. After a 1.5-hour ride, the bus nears two large towers on your left side of the road. 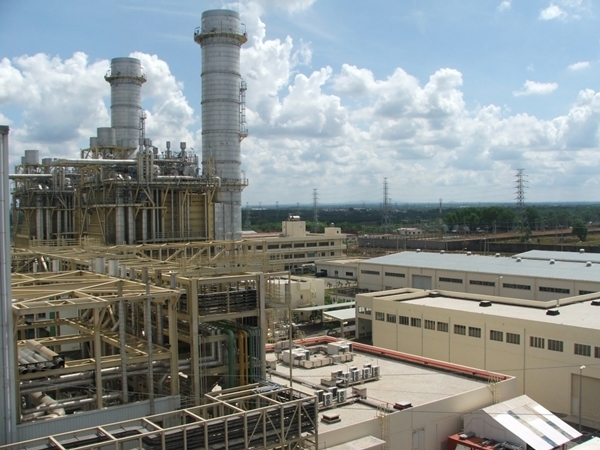 This is the Pha Lai Thermal Power Plant, one of the Vietnam’s largest power plants. Having a generating capacity of 440 MW, it produces around 1.5 billion KWh every year. Generating 45% of the nation’s power, with gas turbines producing 34%, hydropower plants are the largest energy source in Vietnam. 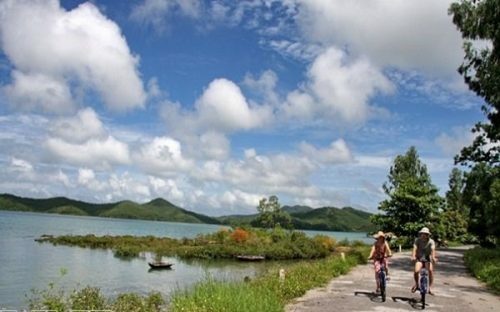 Thanks to the numerous artisan workshops and retail stores displaying ceramics and pottery of all kinds along the road, this little town, which is easily recognizable, is well known in Vietnam for its ceramics. The products here are made from a local range of Kaolinite and soft-white clay. 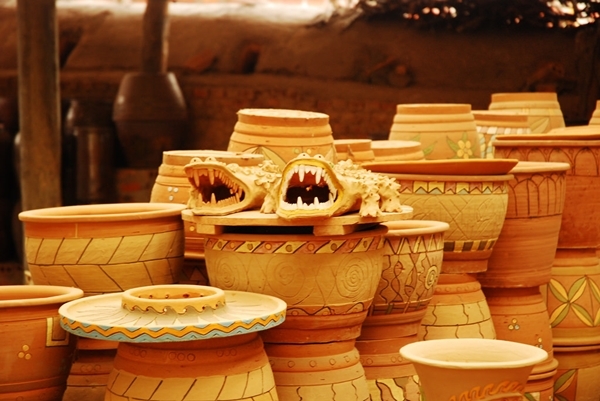 Besides Bat Trang Ceramic village in Hanoi, Dong Trieu ceramic and pottery in Quang Ninh is one of the largest providers of cups, plates, bowls and chinaware for consumption in northern Vietnam. Being the largest coal mining complex in Vietnam, the Mao Khe Mine has the biggest coal production output in this country. 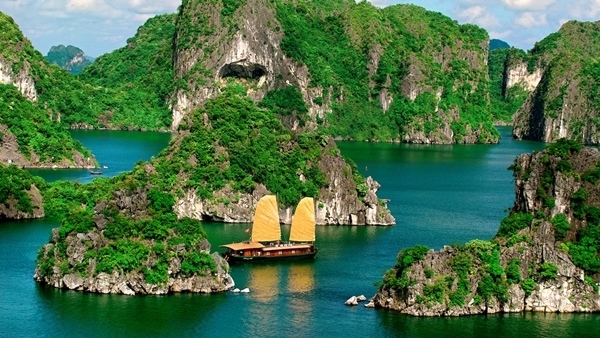 The mine produces much of Vietnam’s 50 million tons of coal per year. About 20% is reserved for export, mostly to China. In the end of March 1951, Mao Khe was the scene of an important, but strategically indecisive, battle between the revolutionary Viet Minh or the Anti – French Resistance War, as it is known in Vietnam – and French forces during the First Indochina War. 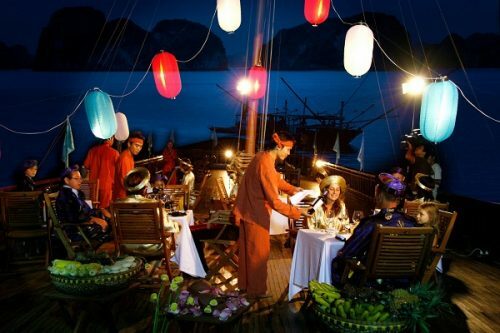 Featuring more than one thousand gorgeous limestone karsts and islands of various shapes and sizes along its beaches’ coastline, Halong Bay is one of the world’s natural wonders and the most popular tourist hotspot of Vietnam.